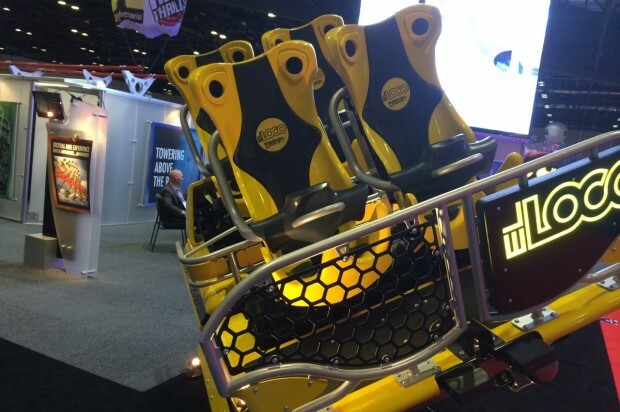 During the IAAPA Attractions Expo this year, US Thrill Rides announced they will be building the world’s tallest roller coaster in Florida, with rumors indicating it may be located in the Central Florida area. 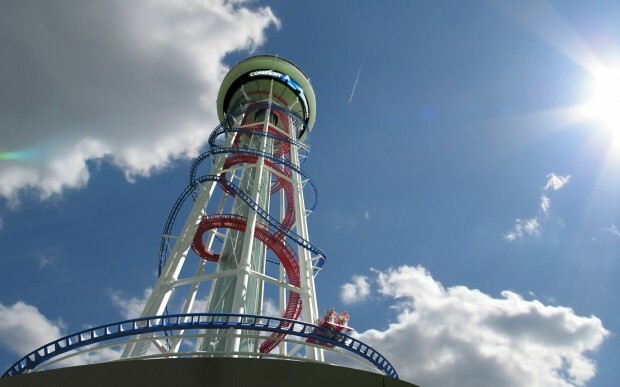 Standing at 525 feet tall, the Polercoaster may be the tallest roller coaster in the world. 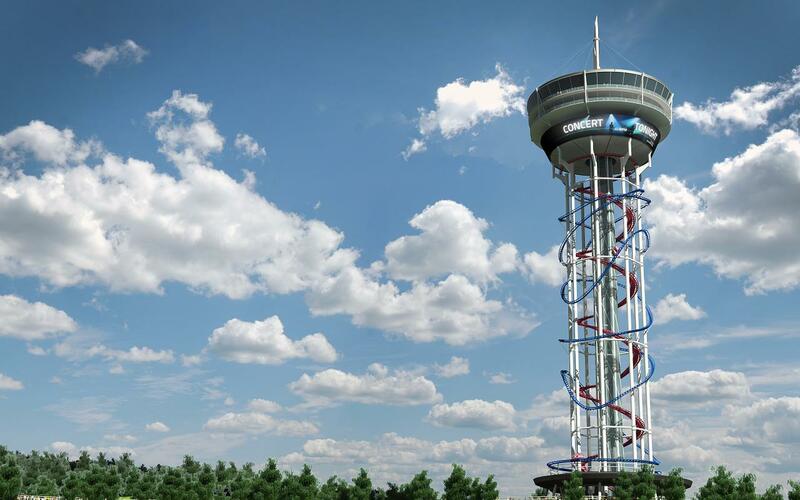 In addition to the coaster element, there will also be two glass elevators to the top of the tower, which will feature retail and restaurant space as well as an observation deck. There could already be a roadblock for the Polercoaster in terms of the building height restrictions for Orlando set by the Federal Aviation Administration. Aside from the Sun Bank building downtown, which stands 440 feet, no structure has been permitted above 400 feet, presumably for air traffic safety. To compare, the Sky Tower at SeaWorld stands at 400 feet. The Orlando Eye observation wheel on International Drive will be 425 feet tall when it is finished. The location for Florida’s Polercoaster, and it’s final name, is expected to be announced in the next few weeks. I really hope that Orlando can get there hands on this coaster I mean this would be the perfect place to stick this coaster in one of the biggest tourist destinations in the world.